I (Diane) had such an eye opening experience recently. It gave me food for thought and led me to put pen to paper and write this blog. 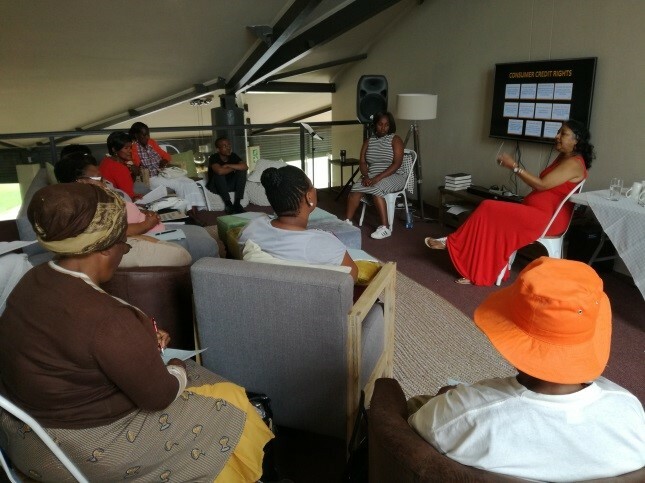 I was part of a day’s training on financial literacy for crafters from communities around Durban and Howick. The ladies and gentlemen in the room make a living by creating and selling handmade products. I had a brief chance to chat to one of the Gogos who I know has learnt to crochet. She is a quiet, gentle soul, shy of strangers. We had finished the course and the crafters were asking questions. In the process of asking and answering questions I discovered that this quiet, shy Gogo is a serious farmer! She has between 300-350 chickens and she sells the eggs as her business. The crocheting is a side business. I know where to go when I start my chicken hutch one day! I realised that I had made lots of assumptions about her when I met her. I assumed her business was solely crochet. I assumed her business was small. I assumed she had no other income …. And so on and so on. This got me thinking about all the assumptions we make in life. 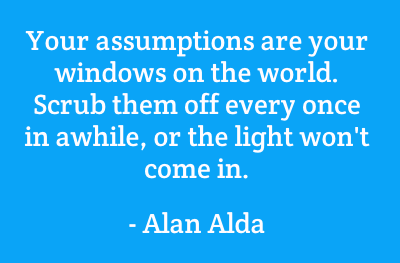 Assumptions about people: who they are … what they do …. their values ….. their potential …. their gifts and talents etc etc. 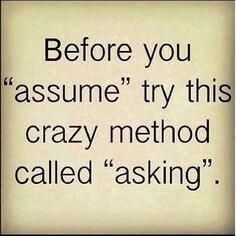 How often do we make assumptions that are not true?? How often do we read between the lines and decide what we think that person REALLY meant? How often do we assume that we know what people need? Today just before I started writing this blog I watched this video on you tube. Please take a look! The video was made by someone who made an assumption and decided to check if it is true. A beautiful story. May you be encouraged today, just as I am, to start to question our assumptions and where possible discover the truth.